Strolling along Chiltern Street in London’s Marylebone, you could at times, have strayed accidentally into one of France’s quieter and more elite arrondissements. More niche than Marylebone High Street but equally as captivating, this little street is set to be a hub of all things niche and chic with such beauties as Cire Trudon, France’s oldest and most esteemed candle maker and purveyor of distinct room scents opening at 26 Chiltern Street while hotelier, Andre Balazs, (The Mercer, Chateau Marmont) is set to launch his London debut at the old fire station just across the road. 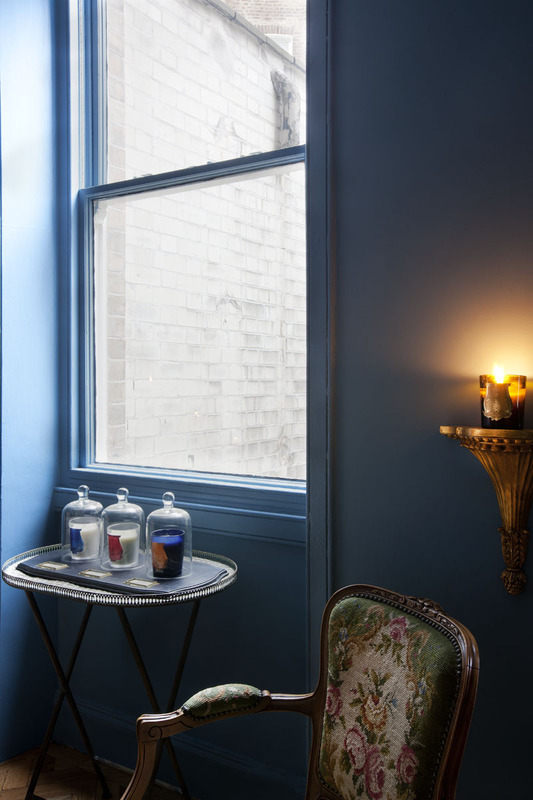 It’s Cire Trudon’s history that enthralls. 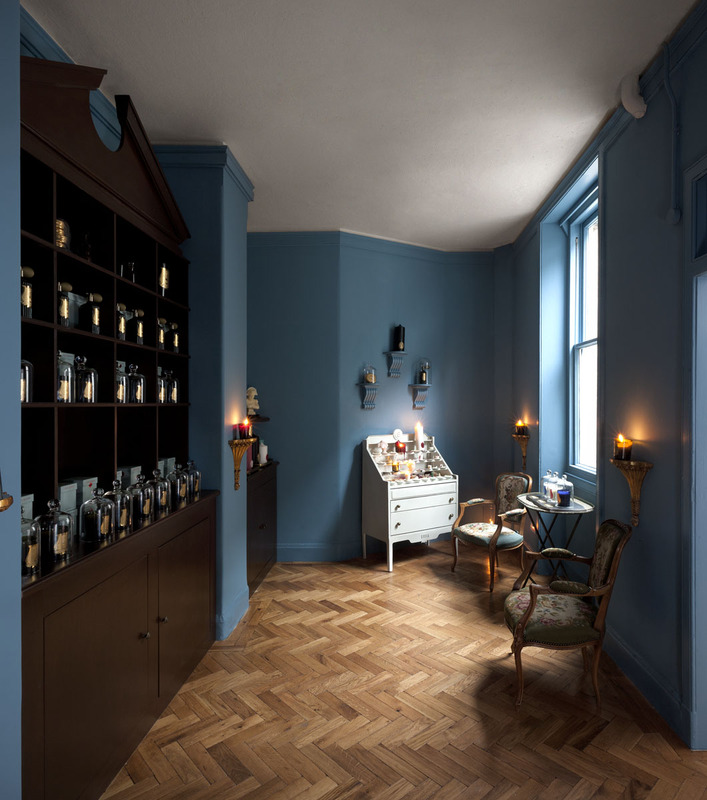 Established in 1643 and acting as candle maker to the Royal Court at Versailles, Cire Trudon’s scents evoke a France of Alexandre Dumas and Marie Antoinette while still being pure of grace and spirit and 21st Century relevant. 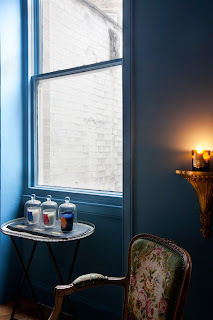 Cire Trudon have ventured into voyages of the soul including elements as diverse as the Far East and Scotland. Spiritus Sancti is the epitome of a soft, soul-lifting, church candle that does not overpower while Pondichery’s huskiness and muskiness mixes fresh green elements with the sweetness of patchouli and the sexiness of musk. Empire’s heavy pine, sage and hay is strong and resolute, reeking of old values while Balmoral smells so much like earthy moors and heather after the rain, you can almost catch sight of Victoria & Albert in the gloamin. But it is Mademoiselle de la Valliere that I walked away with – it is said that Louise de la Valliere steeped herself in the shattering intensity of tuberose to keep herself fragrant for Louise the XIV. A little goes a long way but seduces at every point. 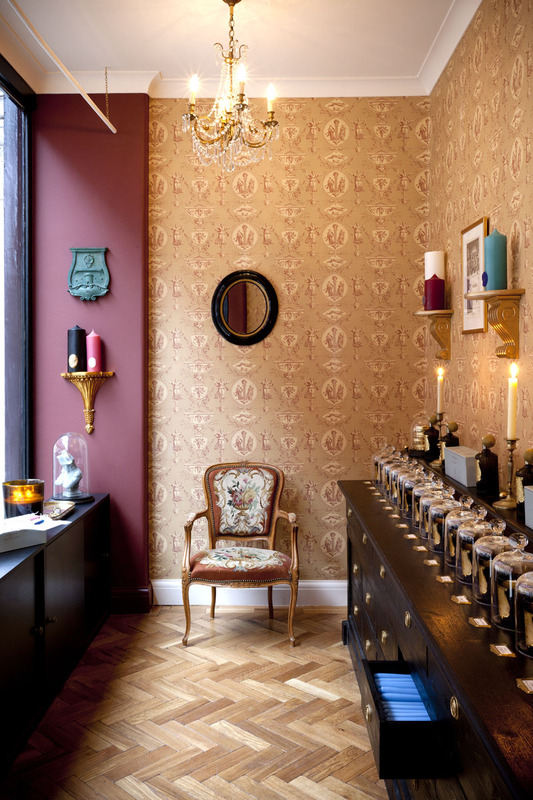 The Cire Trudon store is a must-see and certainly a must-buy from. 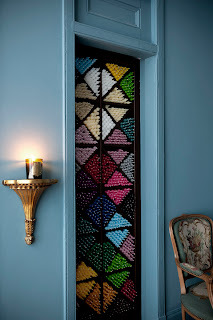 The space is quirky with an unusual layout that perfectly suits the authenticity of the brand. Beautifully bedecked in traditional French style from reclaimed wood parquet flooring to ornate, antique wall coverings and gold wall sconces, the store immediately calms with its profusion of tiny whiffs of scent from the bell domed covered candles and the lit examples around the store. The home spray bottle echoes a mix of old car horn combined with apothecary heavyweight ribbed glass while the delightful idea of heavenly, Cire Trudon ‘stink bombs’ that can be crushed and released adds a touch of humour and decadence. The Cire Trudon shop carries everything from the collection, mirroring what is sold at the Paris boutique – scented candles, ‘grande bougies’, scented pillar candles, ‘buste’ candles, room sprays, perfumed ‘stink bombs’ as well as associated candle chandlery. 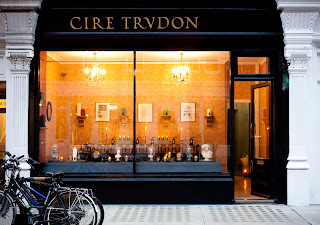 Cire Trudon is at 36 Chiltern Street, London, W1U 7QI. Next post: Avon still manages to impress after 125 years.